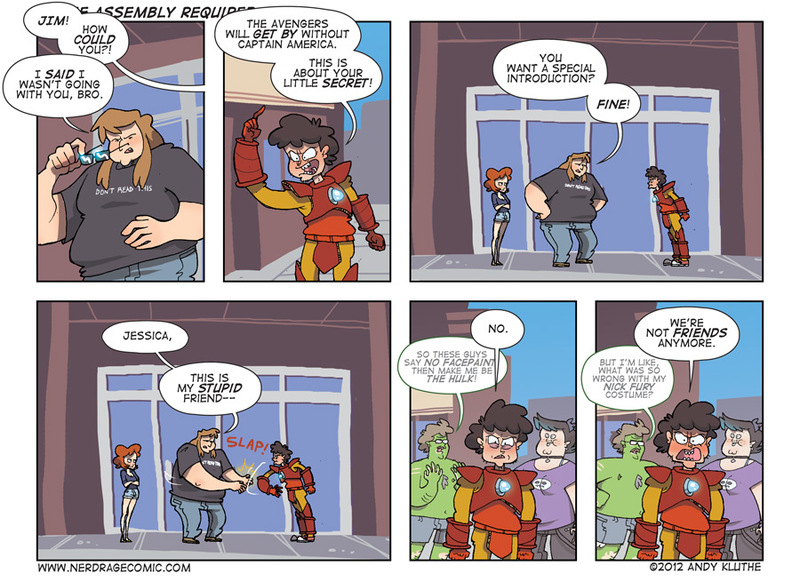 And now for the thrilling part-twosion of last week's Nerd Rage! Avengers was great. If you're one of the three people in the country who hasn't seen it, go get in your car and drive to the movie theater. I don't care where you are, I don't care if you have pants on, just go do it. It's the sort of film that only five movies worth of build up can produce. Remember that really popular game Draw Something? Do you remember how you don't play it anymore? App data shows player-ship is down a staggering 5 million. Perhaps players have drawn all the somethings there are. Or maybe the $210 million buy-out by soulless game-shiller Zynga and the addition of extra product placement didn't sit well with people. In a more solemn note, Maurice Sendak passed away this week. Beloved children's book author and creator of classics such as Where The Wild Things Are. He affected the lives of many children, myself included, and will be missed dearly. Why do people keep dying? The train wreck that is Paul Christoforo just keeps going. The Avenger Controller PR man who knows the mayor of Boston filed a lawsuit against N-Control for defamation. While I can't speak for N-Control CEO David Kotkin, it certainly seems there may be other factors involved in damaging Paul's reputation.